Stuart Cove is living the dream…and he wants you to be a part of it. It started over 40 years ago when Stuart turned his underwater expertise into gold, working on the set of the 1981 James Bond film “For Your Eyes Only.” Using the proceeds from that and a couple other films (“Cocoon,” “Jaws,” “Splash,” and “Never Say Never Again” to name a few), he began to build his empire. Piece by piece, Stuart began acquiring vans, boats, and dive gear, culminating today in a dive operation unlike any you’ve ever experienced. 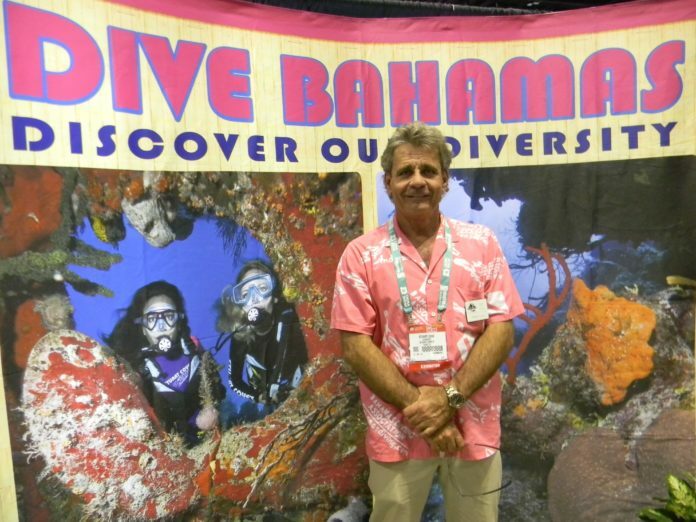 Stuart Cove’s Dive Bahamas is located in Nassau on New Providence Island in the Bahamas. There are direct flights from most major cities on the eastern seaboard of the United States. The island itself is eminently hospitable with great infrastructure, thriving night life, and hotels for every budget — where Stuart‘s free shuttle service will come to pick you up for your day of diving. Boasting its own harbor and marina, and a fleet of ten boats, Stuart Cove’s is dedicated to showing you a good time in the clear waters of the western Atlantic. Each of the ten boats is dedicated to a different activity, so it doesn’t matter whether you’re content to snorkel, ready to try your first scuba dive or much more advanced — you’re sure to be surrounded by like-minded souls. The dive sites are varied and spectacular, fed as they are by nutrient-rich waters that support a stunning array of biodiversity. There are shallow reefs and sharks, steep walls and more than 30 shipwrecks, and with Stuart Cove‘s available day and night dives you could potentially do up to five dives a day. Stuart wants to offer you liveaboard value with the freedom of being land-based. You can pair your dive booking with a hotel package, or if you prefer to arrange your own accommodations, opt for their dive-only package. Only have a day? They’ll come pick you up from your cruise ship and take you out for a day of dazzling dives. In the coming months, there are plans to develop a busy PADI training center as well as a strong freediving component. In the meantime, however, Stuart Cove’s dive operation gives back to the island and surrounding ocean through community outreach. 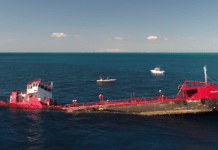 On one hand they educate residents about stewardship of the environment, while on the other they work closely with the Bahamian government to recover, clean, and resink freighters as eco-friendly dive sites. With as many amazing dive experiences under his belt as Stuart has, we had to know what dives still had the power to impress this veteran of the deep. Though he loves Ray of Hope, a wreck dive with sharks, he told us his current favorite dive is a spot called the Orange Bowl. His crews are constantly discovering new and interesting places to dive and they found this surreal seascape on one of their Exploration Dives. Characterized by plenty of hard coral, the showstopper is a collection of giant orange elephant ear sponges. Completely unsurprisingly, Stuart confided to DeeperBlue.com that after 40 years in the business, he still loves his work. Part of that includes sharing the experience with other divers, so do both yourself and Stuart a favor and find your way down to Nassau to enjoy the hospitality of the dive operation that Hollywood built. It’ll be a dream come true.